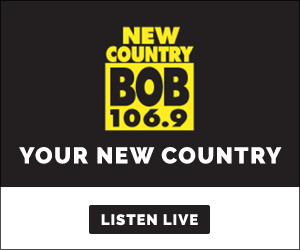 This week win John Langston tickets with Hunter and Leslie in the morning! 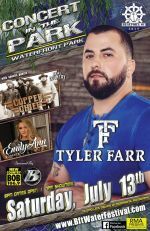 The 64th Annual Beaufort Water is proud to announce that Tyler Farr will be our main act for the Concert in the Park. Tyler Farr's current hit "Love By The Moon" has been listed on the Billboard Country Charts for the last four weeks. Tyler Farr is also known for his song "Redneck Crazy" that topped the Billboard Country Charts at #2 and the song "A Guy Walks into the Bar" that peaked at #7 on the Billboard Country Charts. This is sure to be a great concert so go to http://www.bftwaterfestival.com/ and buy your tickets today! One of the most popular singers in modern country music, Vince Gill is famous for his top-notch songwriting, world-class guitar playing and warm, soaring tenor, all wrapped up in a quick and easy wit. Gill achieved his big breakthrough in 1990 with “When I Call Your Name,” which won both the Country Music Association’s Single and Song of the Year awards as well as a Grammy. Gill has won 18 CMA Awards, including Song of the Year four times – making him the most-awarded artist in that category in CMA history. Since 1990, Gill has won 21 GRAMMY Awards. A wide-ranging songwriter, his compositions earned him entry into the Nashville Songwriters Hall of Fame in 2005. The Academy of Country Music has conferred on Gill eight awards, including its prestigious Home Depot Humanitarian Award and the 2011 Career Achievement Award. Gill was inducted into the Country Music Hall of Fame in 2007. He is also a member of the Grand Ole Opry. In August 2012, Gill was honored with a star on the Hollywood Walk of Fame. He is a member of the four-time Grammy-winning band The Time Jumpers. Gill has produced albums for LeAnn Rimes, Amy Grant and Ashley Monroe and has made guest appearances on more than 500 albums including on those by Barbra Streisand, Eric Clapton, Willie Nelson, Dolly Parton, George Jones and others.